In large microwavable bowl, mix cream cheese and 1 cup of the Swiss cheese. Microwave uncovered on High 1 minute, stirring after 30 seconds, until softened and cheese is starting to melt; add additional 30-second intervals as needed. 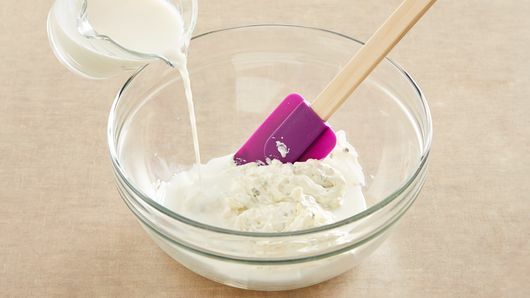 Beat in milk with whisk until mostly smooth; mixture may still be slightly lumpy. Separate dough into 8 biscuits; cut each into sixths. 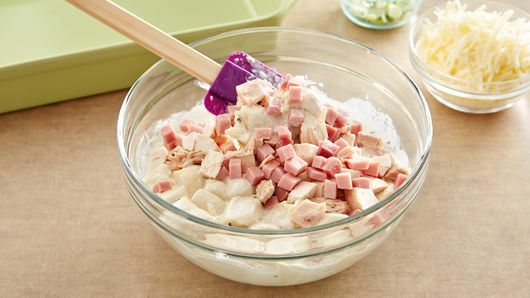 Gently stir into cream cheese mixture; stir in chicken and ham. Spoon into baking dish. Top with remaining 1 cup cheese. Bake 35 to 40 minutes or until deep golden brown and biscuits are baked through. Sprinkle with green onions. 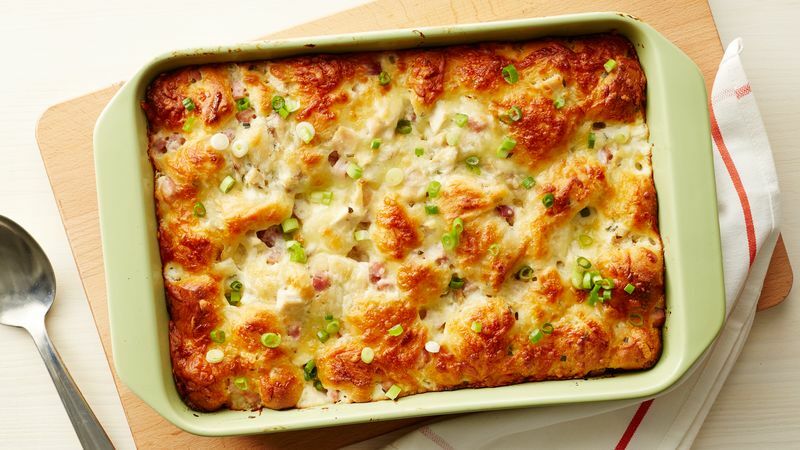 Cooked chicken also works in this recipe and is a great way to use up leftovers. Regular cream cheese also works in this recipe.